THE NIGHT BEFORE D-DAY, 1944. The paratroopers of the 101st Airborne Division are dropped into Normandy and scattered behind enemy lines. As Sgt. Matt Baker, lead your squad through eight harrowing days that will define history, and unite you forever as brothers in arms. • Real soldiers. Authentic battlefields. True Combat. The lives of your men are in your hands. • War is hell -- violent and bloody. Experience the uncensored story of the Normandy invasion. • Command 3-man AI squads in a battle of wits and skill in split-screen or online multiplayer. 01-20-2019 silverbow Box Text BASED ON A TRUE STORY THE NIGHT BEFORE D-DAY, 1944. The paratroopers of the 101st Airborne Division are dropped into Normandy and scattered behind enemy lines. As Sgt. Matt Baker, lead your squad through eight harrowing days that will define history, and unite you forever as brothers in arms. • Real soldiers. Authentic battlefields. True Combat. The lives of your men are in your hands. • War is hell -- violent and bloody. 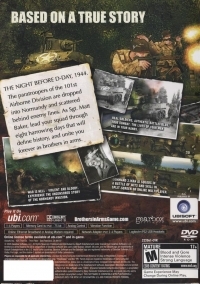 Experience the uncensored story of the Normandy invasion. • Command 3-man AI squads in a battle of wits and skill in split-screen or online multiplayer. 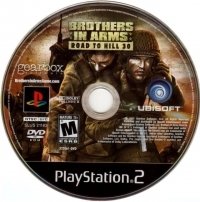 This is a list of VGCollect users who have Brothers in Arms: Road to Hill 30 in their Collection. 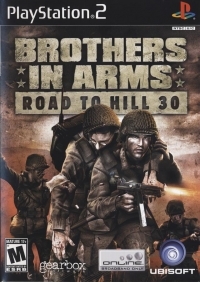 This is a list of VGCollect users who have Brothers in Arms: Road to Hill 30 in their Sell List. This is a list of VGCollect users who have Brothers in Arms: Road to Hill 30 in their Wish List.